Should we make some to help get some more traffic here from other stacks? Does anyone have design ideas? 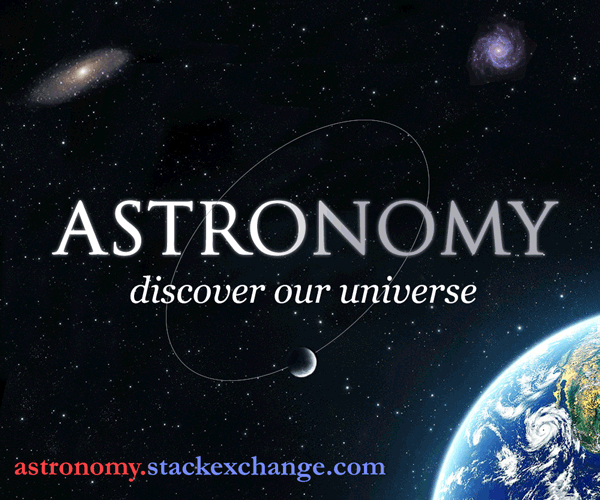 For clarity, I am asking if we should make an ad for Astronomy.SE to put on other stacks. Astro is not ready for its own community promotion ads yet. The idea is to present astronomy as an activity available to everyone. The Moonrise is exaggerated in size to suggest magnification of even the hobbyist grade equipment like the ones depicted (refractor, reflector and binoculars), the numerous observers represent the helping community of people sharing same passion, and reflections in water represent experience. Strong, contrasting colors and shadows are intentional to help improve ad's visual impact. The main font used is "Rockets" in golden color of Moon's reflection and white "Man on the Moon" O's decor. Additional locations where Backyard astronomy: "Reflections" will compete will be posted as the list updates. If you'll be adding this ad to any other location that could use our community support with votes, please mention location where you posed it in the comments below. Thanks! 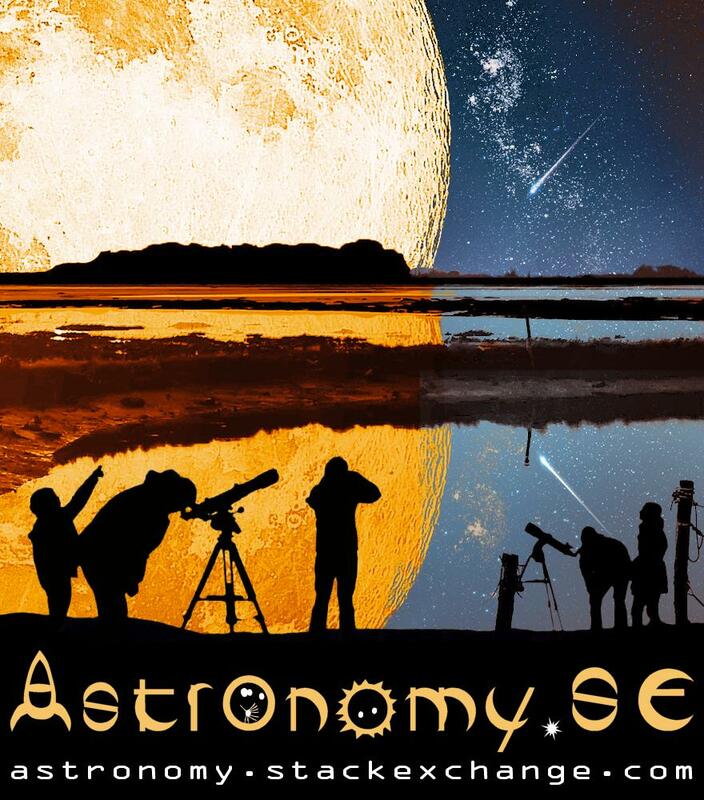 Bottom line: emphasize the balance between enthusiasts & professionals: it's not that hard to observe such a large Moon, but if you want to get any more details, better ask professionals and their big toys. 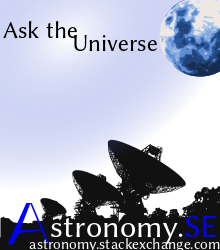 "Ask the Universe": come on astro.SE to ask any question about the Universe. And these radiotelescopes are also, in their own way, used to ask the Universe fundamental questions. Font: Linux Biolinum (plus an home-made "A"). Not the answer you're looking for? Browse other questions tagged discussion resources site-promotion stackexchange . NOT READY FOR PUBLIC BETA — What function should this site serve? What are the intended boundaries of this question and answers community? Does Astronomy (the field, and the stackexchange site) speak to the “existence of a purpose” for a celestial body?